Today arrive at Guwahati airport, received and transferred to Nameri (220 kms / 05 hrs drive), if time permits we can visit the Sualkuchi Silk weaving village of Assam enroute, reach Nameri and check into Eco Camp and overnight stay. Today after breakfast we will drive to Dirang (175 kms / 07 hrs drive), on reach Dirang we will visit Dirang Dzong, check into hotel and if time permits we will visit a Monpa village. Overnight in Dirang. 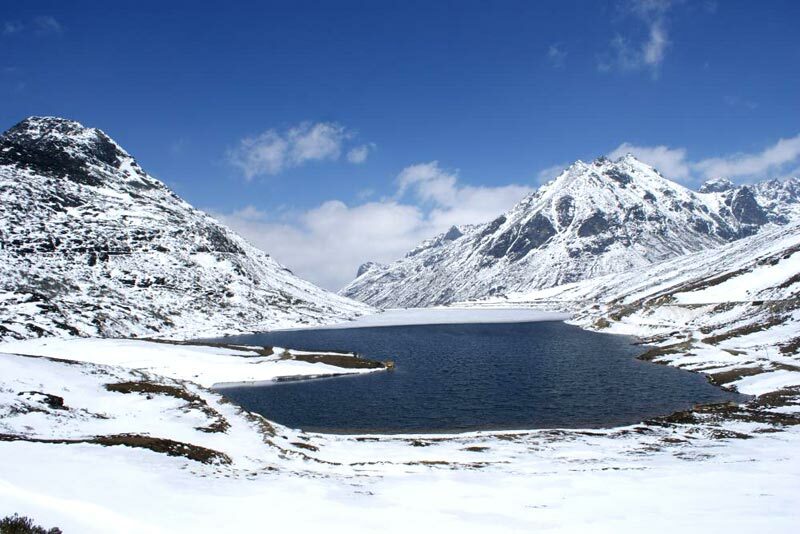 Today after breakfast we visit the Dirang Monastery and then we proceed for Tawang (195 kms/ 09 hrs drive), enroute we will visit Sela Lake at Sela Pass (13476 ft), Jashwant Ghar and Nunarang Falls (also known as Jung Falls), reach Tawang and check into hotel and overnight stay. 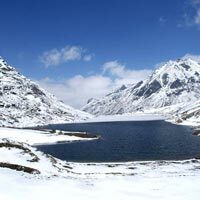 Today after breakfast we will go for a full excursion in Tawang and in and around, we will visit the Sangetsar Lake (also known as Madhuri Lake), PTso Lake, Tawang War Memorial, Urgelling Monastery, Ani Gompa and if time permits we will visit a hot spring. Evening back to Tawang and overnight stay. Today after an early breakfast we drive to Bomdila (195 kms / 08 hrs drive), reach Bomdila and visit Bomdila Monastery and Bomdila Point, check into hotel and evening at leisure. Overnight at Bomdila. Today after breakfast we drive to Tezpur (170 kms / 05 hrs drive), after lunch at Tezpur visit local sightseeing in Tezpur, the ruins and temples of the Ban Dynasty, evening at leisure and overnight stay. After breakfast drive to Guwahati airport (220 kms / 05 hrs drive) for onward destination.